Fraser Anning Christchurch statement: Why we can't be surprised. Time and time again, Fraser Anning has showed us exactly who he is. There is a Change.org petition to remove Fraser Anning from the Senate. Please sign it here. Fraser Anning’s comments directly following the Christchurch terror attack caused outrage around the world. His claim – that the cause of the shooting which left 50 dead was not far-right extremism but rather Muslim immigration – was shot down by Prime Minister Scott Morrison as “disgusting”. New Zealand Prime Minister Jacinda Ardern called it “a disgrace”. A teen who cracked an egg on Anning’s head was lauded as a hero. But while there was so much anger, embarrassment and shame over Anning’s views and the fact that he had a platform on which to spout them, one thing we could not feel was surprise. Because what Anning said was not a surprise. Given his history of sharing abhorrent messages, we could not pretend to be shocked. After all, he has shown us time and time again what kind of man he is. Anning’s used his maiden speech to the Senate in August 2018 to call for a plebiscite to reintroduce the White Australia Policy, which restricted non-European immigration from 1901 until it was dismantled in the late 1960s. “We as a nation are entitled to insist that those who are allowed to come here predominantly reflect the historic European-Christian composition of Australian society,” he told the Upper House. “While all Muslims are not terrorists, certainly all terrorists these days are Muslims, so why would anyone want to bring more of them here?” he said. He then used the same words – “the final solution” – that Adolf Hitler used in Nazi Germany, to explain his motivation for the Holocaust of World War II, where millions of Jewish people were slaughtered. Just a month after his maiden speech, Anning made a homophobic and transphobic speech in the Senate in which he called the Safe Schools program “child abuse”. The Safe Schools program seeks to create safe and inclusive environments for LGBTI students. “Fifty years ago, if a communist pervert had proposed that our nation’s children be forced to listen to sexually deviant propaganda, they would probably have been strung up,” Anning said. After his speech, Anning doubled down on Twitter and Facebook where he described the program as “dangerous and degenerate”. He was kicked off Facebook for his statement which called the program “child abuse” created by “Commo [sic] perverts”. 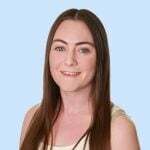 In June 2018, Anning’s Senate motion condemning NSW parliament for passing a bill providing 150-metre safe zones outside abortion clinics to prevent abuse and harassment was defeated. “Abortion should be regulated because the killing of the unborn is not a women’s right to choose, it’s simply murder,” he said in a Senate speech following Queensland’s abortion law reform. Anning travelled from Queensland to Melbourne to attend racial protests organised by far-right extremists. Hundreds of police occupied the St Kilda foreshore as almost 100 far-right activists clashed with 200 anti-racism protesters in January. Photos from the rally show far-right activists making Nazi salutes towards the anti-racism protesters. Anning arrived at the “Reclaim St Kilda” rally with its organisers, convicted criminals and leaders of nationalist protest group United Patriots Front Blair Cottrell and Neil Erikson. At the rally, Anning criticised African immigration, calling Sundanese immigrants “thugs” and “garbage”. “There’s a lot of good Australians who are completely sick and tired of our governments bringing in people that bludge off us and attack us in the streets,” he said. Anning has been unwavering in his far-right views and given his history, his most recent comments that the blame for last week’s Christchurch terror attack lied with Muslim immigration are not surprising. When Parliament returns in April, the government and opposition will unite to bring a motion to censure Anning, the ABC reported. In response to his views, more than 1.1million people have signed a Change.org petition calling on him to be removed from Parliament. 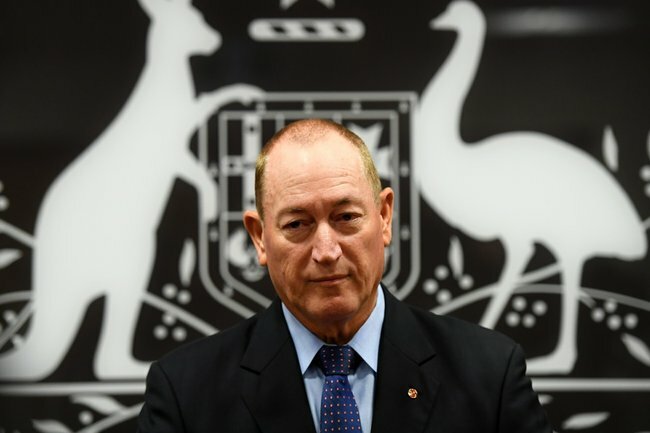 On Monday Anning said he was unphased by the negative response and would not resign. Thankfully, there is an election just months away and given the fact that Anning only received 19 votes in 2016 (and only entered Parliament by riding on his former party One Nation’s ticket), it is very likely he will be booted from Parliament in May. But Anning has already had time and a platform to spread his xenophobic views. The damage has been done. What we must do now is ensure our votes show him – and anyone else who shares his views – that they are not welcome in our Parliament. They do not represent Australia.